Columbia, SC - In September of 2017, InfoComm International, the trade association representing the $178 billion commercial audiovisual industry worldwide, changed its name to the Audiovisual and Integrated Experience Association (AVIXA). Those that closely follow the commercial market are aware of the annual worldwide trade show approaching. This year's show will be held June 2 - 8 in Las Vegas and will continue to operate under the InfoComm name. The trade association most closely manages the ony standardized certification across the industry through their Certified Technology Specialist (CTS) program. This program requires annual continued education reflecting a professional's commitment to standards and revolving education/knowledge and a certification/proficiency exam. Like any other professional field, an expert must remain knowledgable and educated in their field in order to provide the highest level of support to their clients. 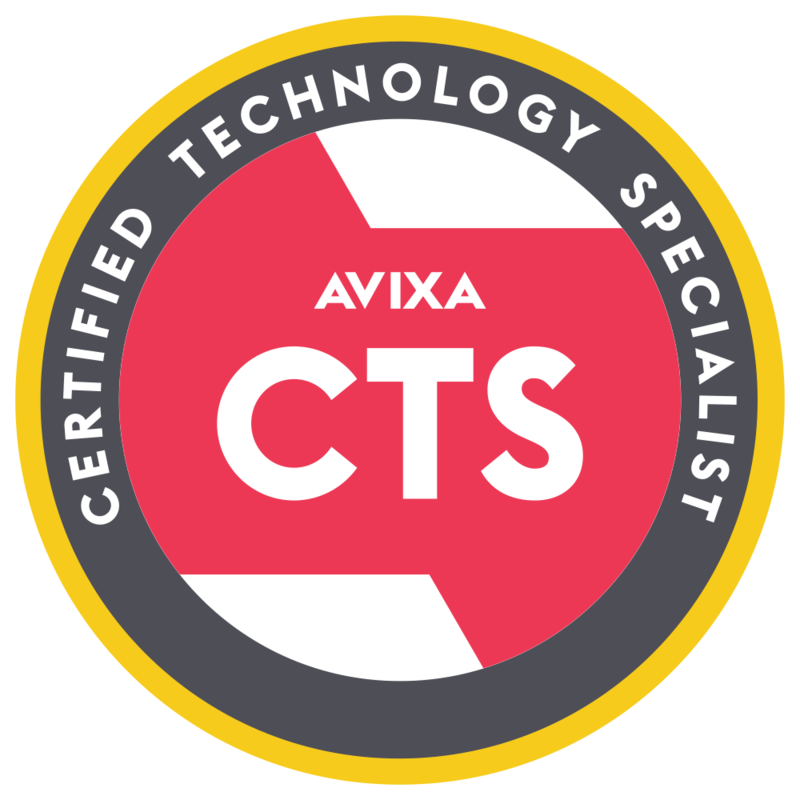 The majority of all AVG technical staff carries various certifications, including the CTS. Advanced Video Group highly values not only the AVIXA CTS program, but also manufacturer specific certifications. As technology systems continue to evolve to become more robust and powerful, service providers, such as AVG, need to also evolve in their service models. A commitment to training is also a commitment to our clients. Let our team explain to you or your team how we can be a valued partner to your organization. Stay tuned as we will also update everyone with the latest in technology and products introduced at this year's show!